A project may fail to be processed on Pix4D cloud. If the problem is more related to output display (no evident failure or error message), other specific checks should be performed. For more information: Output is not displayed / feature is missing in the cloud. Regarding the processing itself, several leads are recommended to be explored. 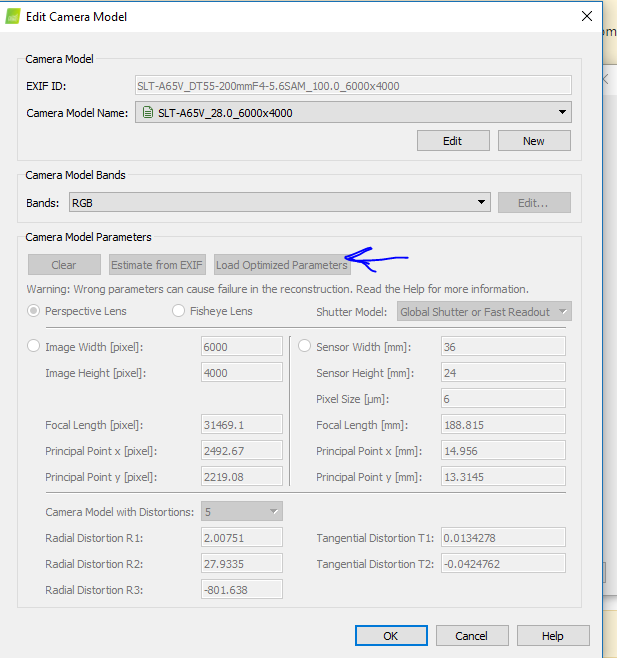 Check the input images, camera model parameters, and geolocation options. For more information: Input files. Warning: Pix4D Cloud allows to process projects with minimum 6 images by default, and minimum 12 images for Pix4Dfields. When uploading the images from desktop, there is no warning message which is why the project fails if it does not comply with these minimum requirements. Note: The quality report is only available after step 1. Initial Processing is complete. 1. Click the download button and then click Quality report. 2. Analyze the results. For more information: Quality Report Help. The processing steps that are complete. The selected outputs and formats. The solution used to process (Pix4Dmapper, Pix4Dbim, Pix4Dfields, Pix4Dmodel). 1. Click the download button and then click Export to Pix4D desktop. For more information: How to download results from the cloud. 2. Browse the output folders and check the results. For more information: Pix4D outputs with other software > by output. 1. Click the download button and then click Processing log. 2. Open the file with a text editor, e.g. Notepad++. Pix4D cloud uses the default 3D maps template if you are using Pix4Dmapper. The calibration method in this template is standard calibration. However, for certain projects (where the land is homogeneous, features are very few: agriculture, sand, forests etc), alternative calibration works best. So if you are processing a project which is homogeneous, it is best that you start the project in desktop, change the processing options and then upload the project to the cloud (from desktop): https://support.pix4d.com/hc/en-us/articles/202558589-How-to-upload-project-files-from-desktop-to-cloud. In that case, Pix4D will use the processing options you had selected. Hello Momtanu , can you help me solve my problem , I think this is exactly the issue I am facing.my problem ID is 67050. We have two SONY A65v Cameras , and some time ago we tryed and succeded making a mosaic out of it. Now, in this second test, we are not able to do so. Our cameras are geotagging correctly, and we have good overlap. what can be wrong with this.? All the images got calibrated but there was 300% difference in optimized camera parameters. Thus I loaded optimized parameters and processed step 1 again. I have processed only step 1 to save time. But step 2 and 3 should process successfully. Thus you cannot use pix4dfields cloud only as it will process with the default ag RGB template and the camera detected cannot be edited. You will need mapper. Hello Momtanu, thanks for your help. We could calibrate our camera and make both the point cloud and mesh from the image data set. The new issue is that when we try to process the mosaic, we cannot tick on the option to generate and export the mosaic, DTM and other products of part 3 of processing. How can we overcome this issue? The message says (not available with this edition). That means we make some mistake or that it is not allowed in trial version to get mosaic, and DTM? Hola, estoy teniendo problemas procesando un trabajo de unas 2000 fotografías en el cloud. No me realiza en trabajo completo. Cada vez que lo subo me da un resultado diferente. ¿Te refieres al último proyecto que subiste a tu cuenta de Cloud? Creo que las imágenes del proyecto están dañadas. Además, ¿qué quiere decir con "Cada vez que lo subo me da un resultado diferente"? Estas sobrescribiendo el proyecto cada vez? En este caso no puedo ver las diferencias en los diferentes proyectos.